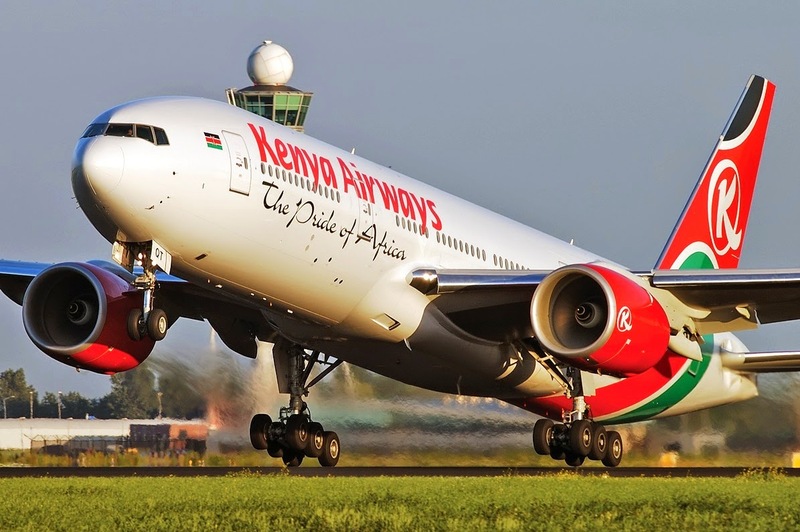 Kenya Airways has announced its plans to introduce direct flights to Tel Aviv following successful bilateral trade relations talks between the government and Israeli business and government delegation. Speaking during a farewell cocktail hosted by Kenya Airways in honour of the delegation,the airlines Chief Executive Officer and Group Managing Director, Dr. Titus Naikuni said the strategic business move will be integral to helping the national carrier fulfil its mission of bringing the world to Africa, and taking Africa to the rest of the World. Without disclosing the date when the flights will be introduced, Dr. Naikuni said, “The introduction of flights to Israel is anchored on the renewed economic interest in Africa, and will also open up the continent for tourists and trade,particularly in agriculture and technology. This is yet another testament of our commitment to contribute to the sustainable development of Africa”. Cabinet Secretary in the Ministry of Foreign Affairs and International Trade, Amb. Amina Mohammed on her part, commended Kenya Airways saying: “We are in the process of making it easy for foreign companies to invest in Kenya, and we wish to extend a firm welcome to Israeli firms to take advantage of the more conducive business environment that we are creating”. The delegation, which was in the country for two days was led by Deputy Prime Minister and Minister for Foreign Affairs, Hon. Avigdor Liberman. He described their mission as successful, having established strong ties that will be pursued for mutual gains between Kenya and Israel. He added, “In addition to establishing and strengthening trade relations, we also wish to assure the people of Kenya that we remain united even in light of recent terror activities. Terrorism is a global threat and we will support efforts to make Kenya safe for business at all times”. The event was also attended by Principal Secretary Transport Mr. Nduva Muli andPrincipal Secretary, Ministry of Foreign Affairs and International Eng. Karanja Kibicho.